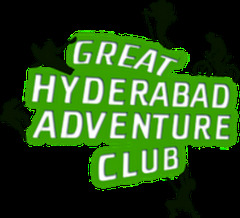 Great Hyderabad Adventure club - GHAC is registered with Govt of India and is recognized by Govt of Andhra Pradesh as adventure and Tourism Partner. GHAC is the Premier Adventure and Trekking destination for Outdoor Adventure Activities. EventDunia will host GHAC meet-up events online for registrations. OutLife is an outbound training provider that imparts Learning and Development using experiential learning methodologies which include Adventure based learning, Outbound Training, Team Building activities, Role Plays, Art, Theater, Dance, Storytelling, Case Studies, Business Simulations and plethora of outdoor and indoor activities. VNRVJIET focuses on high quality education and research in the fields of Science,Technology and Engineering.